The word ‘safari’ comes originally from Arabic and is the term used in Swahili – spoken in East Africa in countries like Zanzibar, Tanzania, Kenya and Uganda – for ‘journey’. 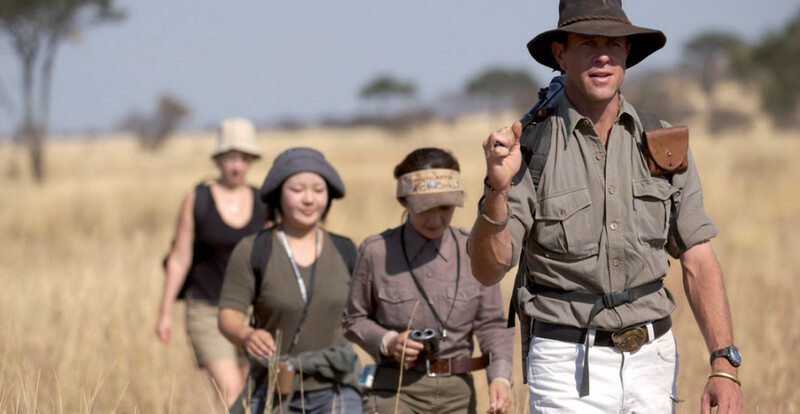 A well-planned safari with a professional guide is for sure the highlight of a trip to Africa. Classic safari destinations include countries like South Africa, Namibia, Botswana, Zambia, Zimbabwe, Tanzania, Kenya and Uganda. The aim of most safaris is so see wild animals, experience nature and to capture the perfect photo of the ‘Big Five’: buffalo, elephant, lion, leopard and rhinoceros. and in a hot-air balloon on a balloon safari. Please ask the Elefant-Tours.com team for the safari style that will suit you best. Botswana is a perfect destination for a unique safari with its great diversity of wildlife and impressive landscapes. 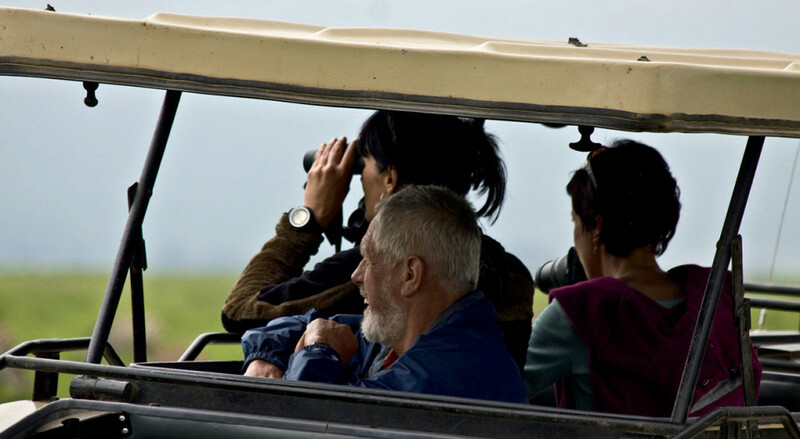 Whether it’s in the famous Chobe National Park, in the evergreen Okavango Delta and Moremi Game Reserve, or exclusively in a private concession – excellent wildlife viewing can be expected throughout this largely untouched land. The Central Kalahari with its deserted wilderness and the seemingly endless spaces of the Makgadikgadi salt pans is also a must see when visiting Botswana. To experience exclusivity and comfort in one of Africa’s great wildernesses and in the midst of unspoilt nature is pure luxury, but very much possible in Botswana. Enjoy the beauty of this fascinating country during a camping or a lodge safari. A fly-in safari offers you the opportunity to take in this stunning land from a bird’s eye view. Kenya offers its visitors a special insight into the wildlife of East Africa. In addition to the world’s largest mammal migration which can be witnessed in Masai Mara and the adjacent Serengeti in Tanzania, it has a plethora of national parks and nature reserves such as Amboseli, Tsavo or Samburu which also offer a great wealth of wildlife and a variety of landscapes. The birdlife of Kenya is impressive all by itself and at Lake Nakuru and Lake Bogoria huge swathes of pink flamingos can be encountered seasonally. Kenya is a very popular destination, not only for safari seekers, but also for culture enthusiasts and beach lovers. Combine an exciting safari with relaxing days on the beautiful, white sandy beaches of the Indian Ocean. Malawi, also lovingly known as “the warm heart of Africa ‘, is one of the smallest countries in central Africa and at the same time one of the least known on the tourist map. It is dominated by the giant Lake Malawi, one of the ten largest lakes in the world. Compared to other destinations of Southern and East Africa, Malawi offers less wildlife viewing, but more than makes up for this with its rich, green undulating landscapes, authentic African cultures and very friendly people. Malawi Safaris are more for people who come with a certain amount of experience of Africa and are looking for a new adventure. A combination with the adjacent Zambia allows you to match a very different African experience with excellent wildlife viewing. With its offshore islands, gorgeous palm-fringed sandy beaches, interesting history and architecture and a fascinating underwater world, Mozambique has so much to offer. Explore colorful coral reefs and fascinating marine life while snorkelling or scuba diving in the turquoise blue waters; head out into the jungle and experience the country’s amazing birdlife and flora; or simply relax and enjoy some of the best seafood you will find anywhere on the continent. Mozambique in combination with South Africa and Swaziland offers the perfect mix of cultural, beach and safari holidays. We would be happy to put together your dream trip including this beautiful African tropical paradise. Namibia cannot fail to make an impression with its vast open spaces and contrasting landscapes. The ever moving sand dunes reaching high into the horizon of the Namib Desert and the animal rich Etosha National Park with its huge, shimmering white salt pan leave visitors spell-bound. Then there’s the impressive Fish River Canyon situated deep in the south, the mountainous Damaraland and the green Caprivi strip in the northwest, all of which have so much to offer. Sit back and enjoy the breath-taking scenery and wildlife of Namibia, explore the numerous remnants of German colonial history and enjoy the Namibian hospitality. All this is possible in a relaxed yet adventurous way on a guided tour of this impressive country. Gorilla trekking is certainly the most popular activity in Rwanda and for many visitors the main reason to visit the “Land of a Thousand Hills”. It is a special experience to observe these gentle giants in their natural environment. But Rwanda has plenty more to offer besides: Lake Kivu, known as the most scenic lake in the Central African Great Rift Valley, the Nyungwe Forest, which is home to free-living chimpanzees and other primate species, mountainous landscapes in the southwest and the savannah of Akagera National Park in the east. This small country in the heart of East Africa, once battered by civil war and genocide, has had a considerable resurgence in the last decade or so and has a lot of beauty to offer. Rwanda is definitely worth a visit, for the fascinating if often tragic history too. It is also recommended and easy to combine with the neighbouring countries of Uganda, Tanzania and Kenya. South Africa, the southern tip of Africa, can offer a diverse African experience like no other. You will find two oceans, numerous different ecosystems, as well as a colorful range of people, cultures and religions in a single country also known as the Rainbow Nation. The Kruger National Park is the most famous of the numerous wildlife sanctuaries and alongside Table Mountain in Cape Town and the famous Garden Route it is a flagship of South African tourism. Experience the diversity of South Africa on a road trip ranging from the green, picturesque Western Cape up to the rugged interior of Limpopo, or from the fantastic beaches of the Indian Ocean up to the barren but fascinating landscape of the Kalahari. South Africa is waiting to show you its incredible beauty. With the snow-capped Mount Kilimanjaro and the great wildlife migration in the Serengeti National Park, the gigantic Lake Victoria, the famous Ngorongoro Crater and the vast Selous Game Reserve, Tanzania is a land of superlatives. The game drives are among the best in the whole of Africa and Tanzania’s north has become famous through countless documentaries. But if you prefer it a little quieter, then Tanzania’s less famous southern part is the right place for you. Tanzania is rightly one of the most popular safari destinations in East Africa and there’s also the added allure of unwinding on the dreamlike beaches of the Tanzanian islands of Zanzibar, Pemba and Mafia. Here you can end an eventful and unforgettable safari by simply relaxing. Hard. In Tanzania, we can guarantee you a reliable service first-hand, with all tours conducted by our own sister company. Both in Queen Elizabeth and Murchison Falls National Park, animals are not only spotted on game drives, but also during a boat safari. In Bwindi Impenetrable National Park, you can go on foot in search of the rare mountain gorillas. Uganda safaris make everyone’s heart skips a beat. See for yourself the special beauty of Uganda on one of our lodge safaris. Zambia stands for wildlife and pristine, unadulterated nature and is particularly popular with safari connoisseurs for its authenticity. In the remote, game-rich national parks such as Kafue, Lower Zambezi or South Luangwa, unparalleled wildlife sightings are almost guaranteed. The famous walking safaris, where you immerse yourself in the African wilderness and can be one with nature, are truly unique; a visit to the formidable Victoria Falls is definitely a must too. Thanks to its relatively low numbers of tourists and pristine wilderness, Zambia offers an unforgettable experience where animals can be observed in peace, without having to be disturbed by large crowds. 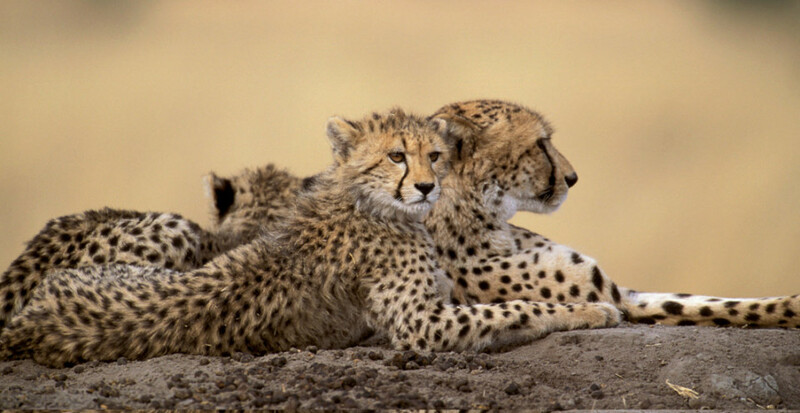 Discover one of the top safari destinations of southern Africa off the beaten tourist track. After some difficult years of economic and political problems, Zimbabwe is finally back on the tourist map, and especially popular with safari enthusiasts and nature lovers. Just as impressive as the wildlife in Hwange National Park or Mana Pools are the ruins of Great Zimbabwe and the breath-taking Victoria Falls, which cannot fail to enchant visitors. Despite its resurgence, Zimbabwe is still less touristy than a lot of other countries in the region and this is another major part of its allure. Experience a varied and at the same time adventurous journey through Africa’s Garden of Eden and let yourself be swept away by the natural beauty. Combinations with the neighbouring countries of South Africa, Botswana and Zambia are easily organised. 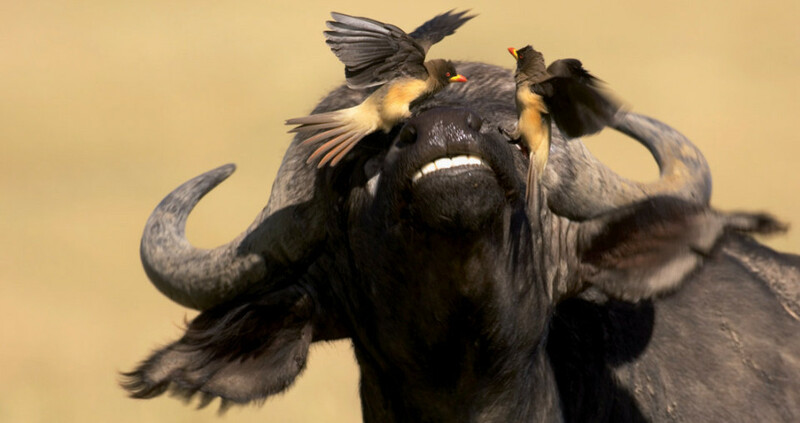 A Cape buffalo bull flicks his head in annoyance at two pesky redbilled oxpeckers that are in fact doing him a favour in ridding his nostrils of unwanted parasites.